It’s estimated that one in 12 Americans suffers from alcohol dependence or abuse, whilst in the UK around 7,000 annual deaths are attributed to alcohol consumption. Alcohol dependence occurs over time and as such as be difficult to spot when an individual goes from ‘enjoying a little too much’ to suffering from an actual addiction. There are also numerous reasons why alcoholism can take hold, ranging from life trauma to individual genetics. What must be remembered is that alcoholism is a disease, one that changes the reward system in the brain, and a disease with numerous root causes. So when we ask ‘why do people get addicted to alcohol?’, it’s not a simple question to answer. The cause of some alcoholism cases can be quite rudimentary, such as social factors including peer pressure, environment and even frequent exposure to alcohol-related advertisements too. This may be more apparent in younger people with friends starting to drink in particular leading some to start drinking. One of the more recognisable and apparent alcoholism triggers is a major life event or trauma, ranging from stress at work to a relationship breakdown or bereavement. An individual may turn to alcohol in the short term as a coping mechanism but the dependency to deal with their emotional state can turn into a long-term issue. On a psychological level, alcohol affects the chemicals in the brain’s reward centre so that, after sustained misuse, the body begins to crave alcohol to restore positive feelings and avoid negative ones. Because of this, individuals already susceptible to self-esteem issues and anxiety are more likely to develop alcoholism. But perhaps the biggest factor in the indicator of alcoholism taking hold is an individual’s genetics. Some research suggests between 40% and 60% of alcohol dependency can be linked to genetic factors, indeed proving the ‘trigger’ in the development of the disease. Children of alcoholics are four times more likely to develop alcoholism themselves research indicates, but the specific gene to blame is still being explored. Beyond understanding the possible cause, it’s also important to recognise the signs that suggest someone is starting to develop alcohol dependence. 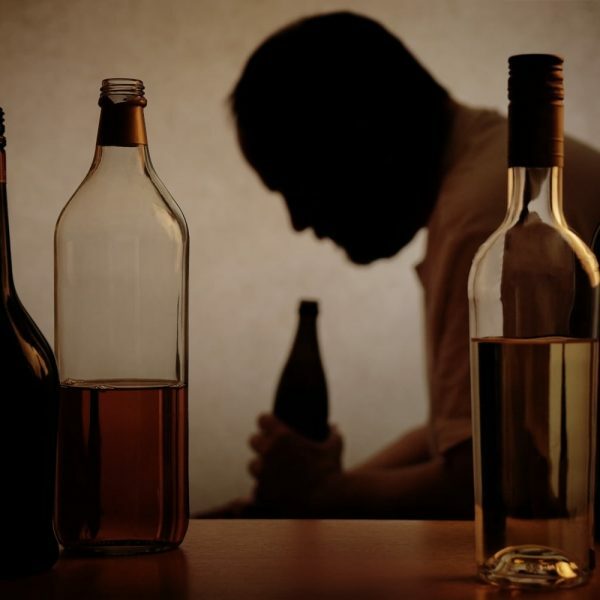 Alcoholism affects both a person’s physical and mental health and also their way of life. Alcoholics can themselves feel cut off from their social circles and become remote, affecting both relationships with family members, partners and friends. Fuelling their alcohol addiction also affects an individual’s cash flow and can have a severely detrimental effect on their job and career through lack of focus, drive and energy. Cancer: alcohol is the second biggest cause of mouth and throat cancers as well as liver cancers. Brain damage: Binge drinking can cause blackouts and anxiety, whilst long-term drinking can cause serious mental health problems and permanent brain damage. 65% of suicides have been linked to excessive drinking. Behaviour change is also common partly down to the disruption of sleep patterns leading to added stress and anxiety. Fertility: In women, alcoholism can lead to infertility whilst in men it can also cause impotence. The body also struggles to process the increased intake of alcohol, affecting the pancreas, stomach, intestines and kidneys. The lungs can also develop infections and even choking episodes as a result of vomiting. Once you’ve identified that a friend or family member is struggling with an alcohol dependency, the next natural step is to try and help them, and although the decision to actively treat the disease ultimately comes from the person suffering from it, there are some steps you can take to help direct them onto the right path. Firstly, try to learn and understand a little more about the illness. Alcoholism is more than just drinking too much, and as noted above, there are numerous underlying issues which may have triggered the condition. Knowing what some of these triggers are can help you identify and also help the individual identify what the underlying cause of their alcohol dependency is. Secondly, you need to decide where and when to discuss alcoholism with the person afflicted, but also what you want to say. It’s important to avoid being hurtful or negative and let them know that the person means a lot to you, and that’s why you’ve opened this line of communication. It’s then important that you listen to what the individual has to say. The person may be in denial, but taking in what they respond can help you potentially uncover the cause or trigger of their alcoholism. Thirdly, if the individual agrees, a pathway to treatment can be set in place. This could range from an intervention to a detox-style addiction therapy designed to treat the underlying cause of their alcoholism for good. At our luxury alcohol rehab centre in Spain, we give those afflicted with alcoholism the tools to enjoy their life again without alcohol through a combination of therapies and an abstinence programme with a 12 step philosophy, management of withdrawal symptoms and a holistic approach to resolving the issues that lead the person to drink. Watch our client testimony video above on how we helped Neil and his reflections on life and his time at Step 1 Recovery. To learn more about our services and get in touch with us about someone struggling with alcoholism, click here.